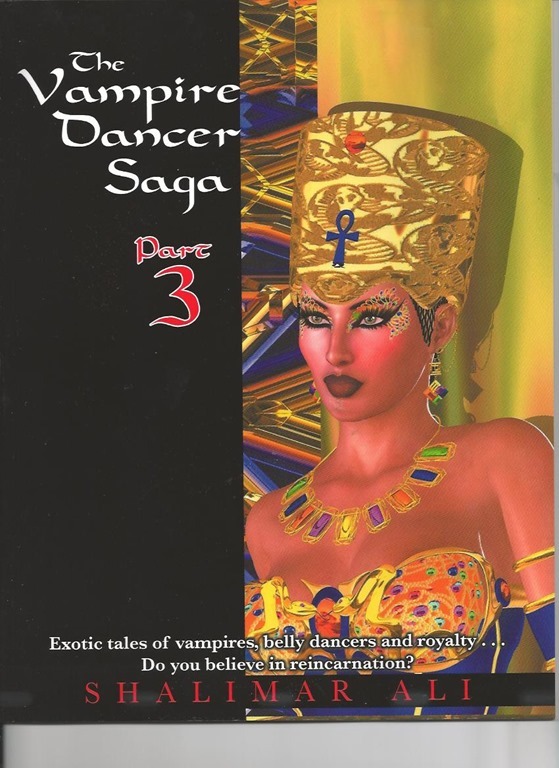 Part 3 of The Vampire Dancer Saga series is now available in the market for purchase. 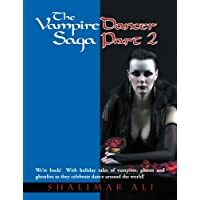 Written by Shalimar Ali, The Vampire Dancer Saga Part 3 smashes together various time periods, belly dancers, royalty, vampires and romance in easy to read exotic tales. 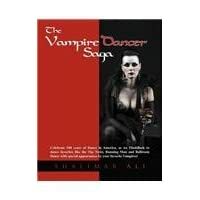 The book contains tales of vampires, belly dancers and royalty and has many appealing aspects. There’s competition, ancient history, spirituality in dance and more. This book takes readers back in time to meet Frankenstein, Dracula, The Mummy and Egyptian queens. The Vampire Dancer Saga Part 3 has 13 chapters. 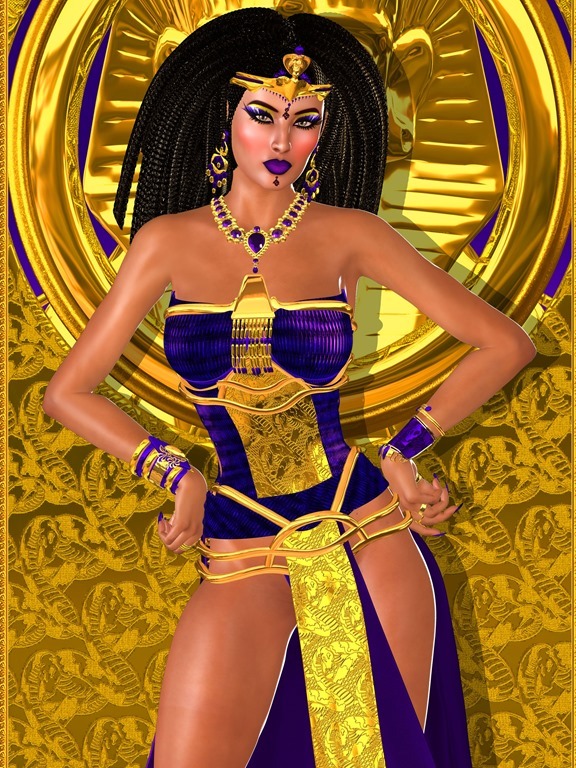 The story begins with Ro’Zha, a harem dancer in Egypt who was having a secret affair with King Ramses, Queen Salome’s husband. Ro’Zha was pregnant with the king’s child and Etienne, her midwife, told the other dancers about the child. Queen Salome overhead it and flew into a resentful rage and consulted Malice, the palace witch, to cast a spell on Ro’Zha. The latter will forever be tethered to Salome all through space and time. Ro’Zha will always serve Salome as her slave or maiden and Salome will forever be her master. Every generation of Ro’Zha’s kids will also inherit the vampires’ night walker blood. Ramses, wanting to protect Ro’Zha and their son Nate Ram, made an arrangement for Ro’Zha to meet with the Sultan of Bagdad, his brother. Ro’Zha’s adventure soon began, which included meeting new people and getting a wish from a Genie. Her first and second wishes were spent for a magic carpet and that she never run out of the magic potion given to her by Ramses. For her third wish, she asked the Genie to take her to her true love, only to find herself in a different time and place, which didn’t look like the ancient Egypt where she’d last seen Ramses. There, she was reunited with her baby, Prince Nate Ram and met Scheherazade, her cousin who told her wonderful tales about the Arabian nights. Scheherazade, who was also called Shera by the people in that time, was asked by the children to tell them a story. When one of the kids asked her if she used Photoshop on the photos she showed to them wherein they wore funny clothes and strange hair styles, she asked them if they believe in reincarnation. But before the kids could answer, Salome joined the conversation and made a bet with Shera, which the latter confidently accepted. Shera then started to tell the stories requested by Salome, stories about Queen NayTure, Dracula, Nefertiti, The Mummy, Sir Lancelot, The 3 Muses, Ammut, Cleopatra, Sampson, Aaliyah, Delilah, King Tut, Frankenstein and his bride. The Vampire Dancer Saga Part 3 can be ordered from Amazon and Barnes & Noble. For more information, please feel free to visit www.Xlibris.com or call 1-888-795-4274.